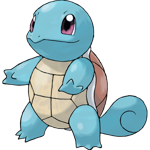 Squirtle is the seventh Pokemon on the National Pokedex and was featured alongside Bulbasaur and Charmander as the starter Pokemon for Red, Blue, FireRed, and LeafGreen versions. 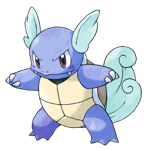 Squirtle is a Water type Pokemon. 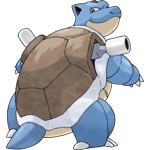 It evolves into Wartortle at level 16 and again into Blastoise at level 36. All original content copyright Pokeball Insider 2014-2018. All trademarks are property of their respective owner.